Tonight I presented some bits & pieces about Microsoft Visio – and integration with SharePoint. 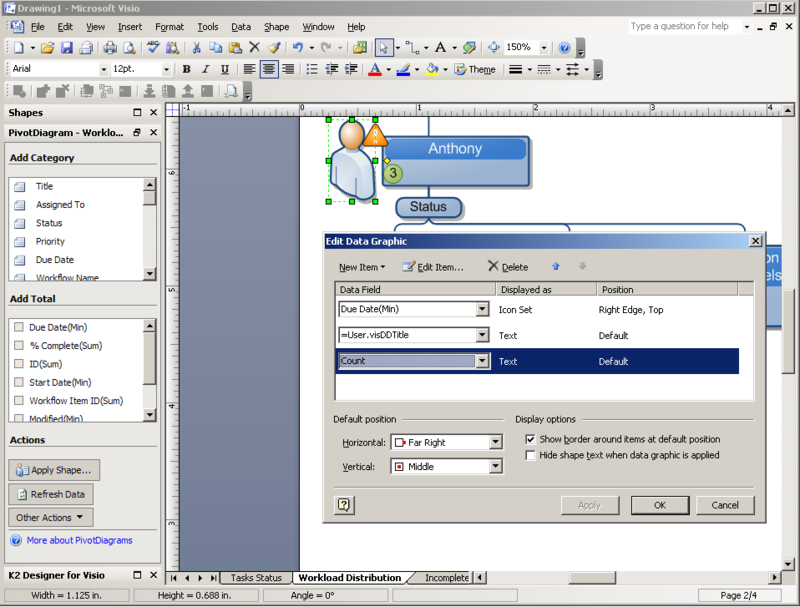 Visio is often the forgotten child of Microsoft Office – with Word, Excel and Outlook getting all the glory. 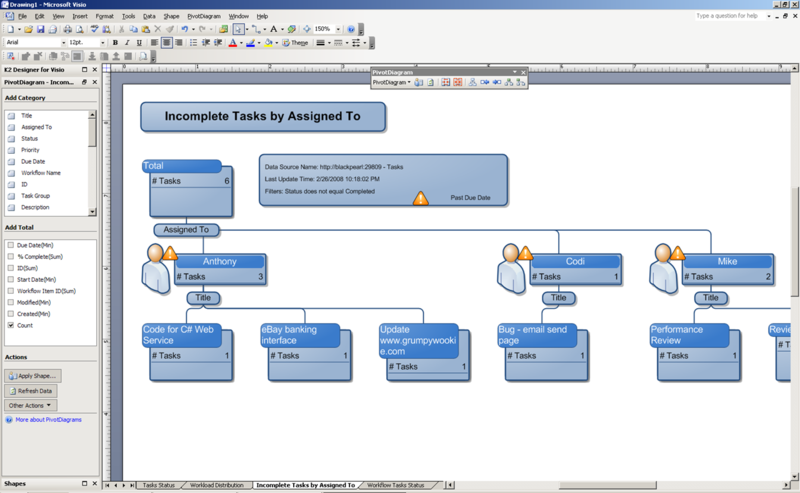 Visio is extremely powerful, for flow-charting, diagramming – and even designing workflows, using a plug-in for K2. 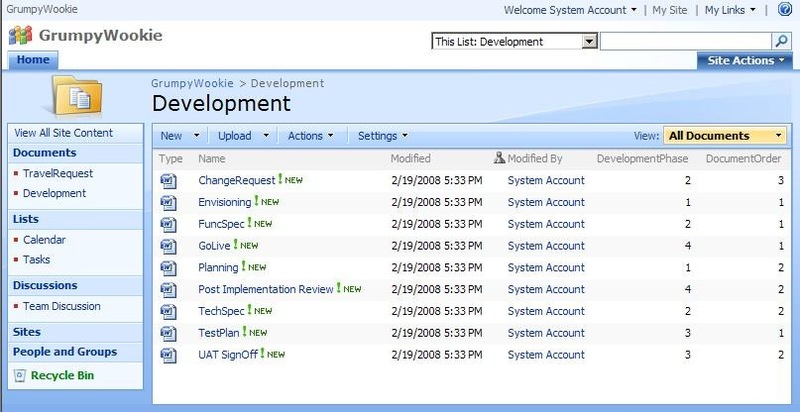 Add column for DevelopmentPhase, and DocumentOrder – corresponding to some Word documents, with those properties added. Next up, you can select a shape – and drag an item onto the canvas. This will include all metadata for the list-item, which can be shown in a variety of ways. The alternative is to use a BPM product such as K2. 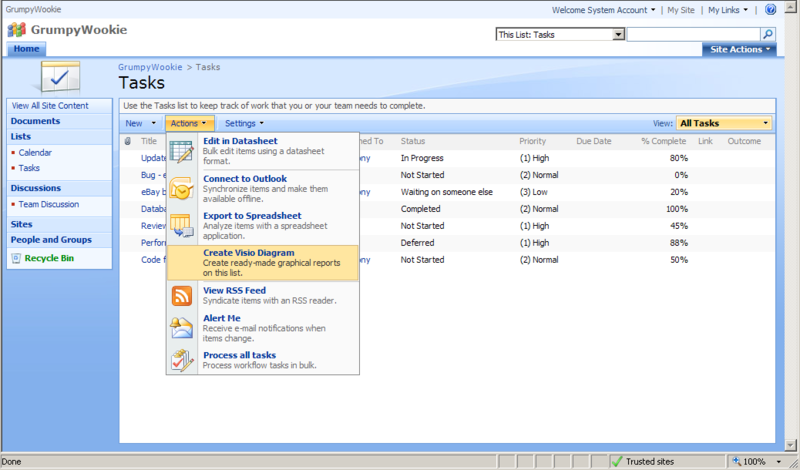 This has a number of workflow designers, including Visual Studio, AJAX “in SharePoint” designer – and the Visio designer. During tonight’s demo, I used Microsoft Visio to show how to add a workflow to a Document Library in SharePoint – and using “forms generation” to display data to a user. …all of the above was completed without any code. 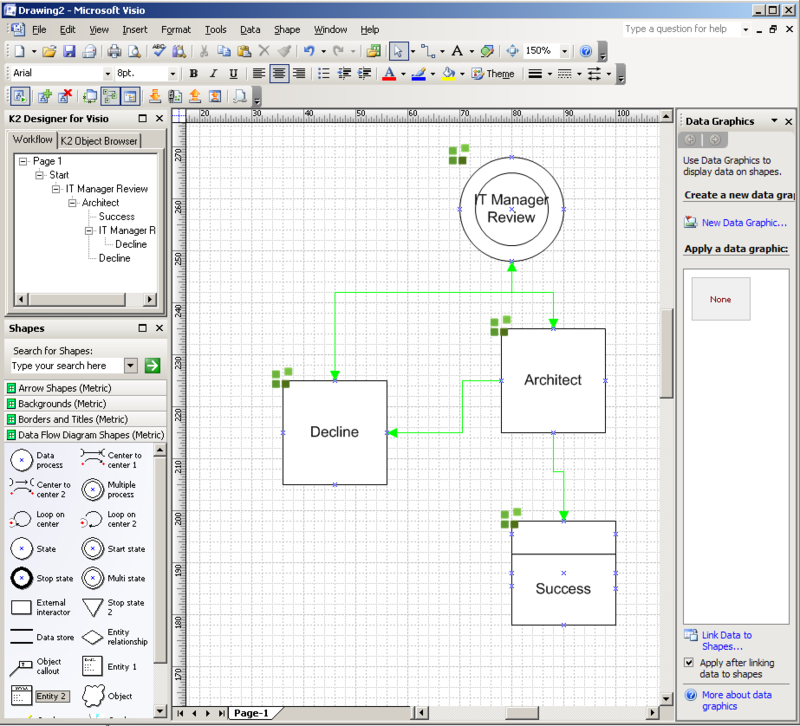 And – all from within Microsoft Visio – a tool that lots of developers and business users will be familiar with. 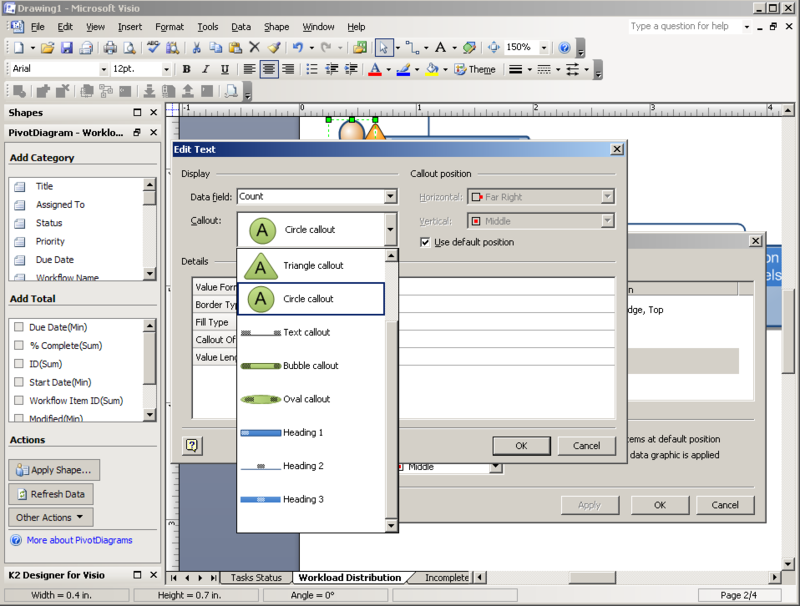 The K2 integration includes a lot of “wizards” – and point-and-click interfaces, allowing for the user to convert a simple picture into a workflow. The workflow can be compiled & deployed from within Microsoft Visio – and with some permissions set for users – can be up and running immediately. 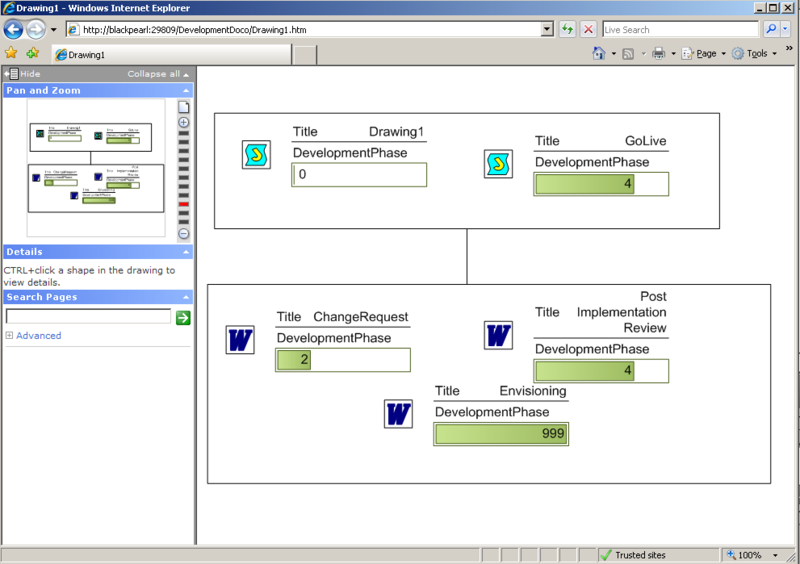 The workflow can then be opened from within Microsoft Visual Studio – and extended by a developer – such as integration to other back-end systems. For more information about K2 + Visio – click here. Within a “Tasks” library in SharePoint, there is an additional option to Create Visio Diagram, which allows for some great slicing and dicing of tasks. 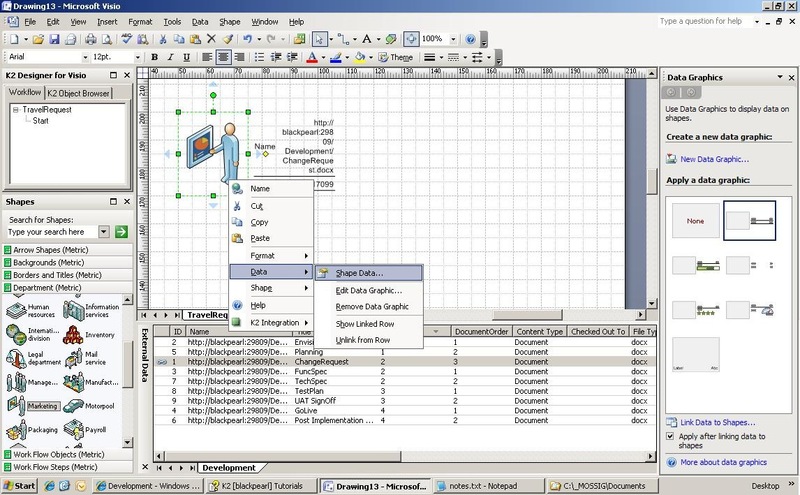 Following on from the initial demo, the user is able to update the Shape graphic, and change what’s shown – as well as filter/group based on the data from SharePoint. Click OK to save the change – and will be updated in the Visio diagram. 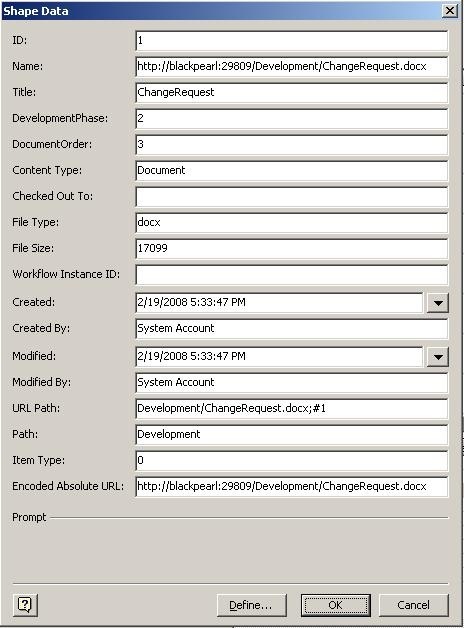 It’s best to have a fiddle about with this – there are some great features hidden away – including being able to flag certain fields/values using colours – based on metadata from the SharePoint list. 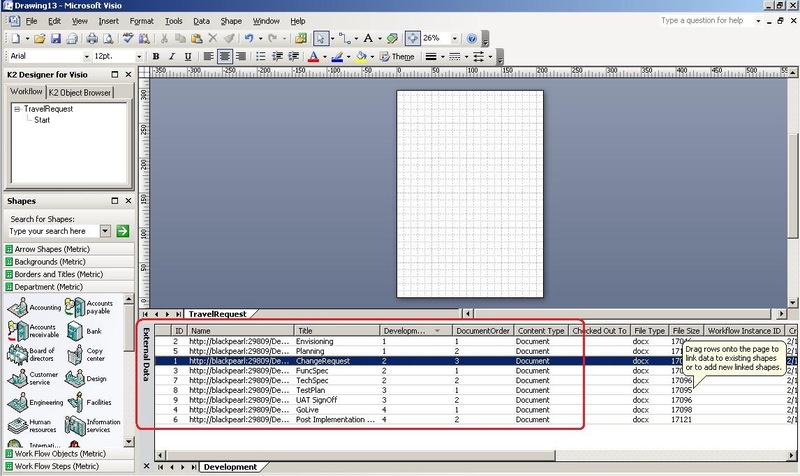 This also works with an “Issues” list – it’s almost a kind of mini-BI function – from within Visio. That’s cool, eh ? Please feel free to contact me to discuss some of the presentation if you have questions or comments.